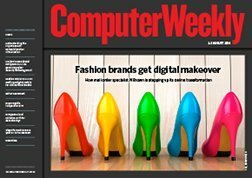 Microsoft's recent rebranding of Lync to Skype for Business (SFB) is creating some confusion for IT leaders seeking to distinguish it from the consumer Skype service as they also look to integrate voice capabilities of SFB with their existing telephony platforms. 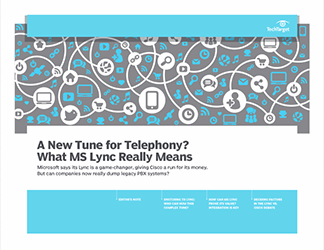 In this Tech Guide we'll look at how Microsoft is evolving its platform, and how companies can integrate SFB with existing telephony platforms as they begin their migrations to it. This three-part guide covers all the latest information on Microsoft Skype for Business. It opens with a chapter that presents an overview of Skype for Business and notes how it is different from Microsoft Lync (and, for that matter, from the Skype employees use after-hours). 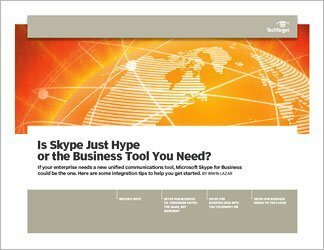 It also highlights some of the issues involved in integrating Skype for Business into the enterprise. 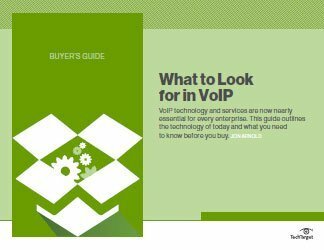 The second chapter offers a snapshot in time, in terms of where some companies are in dealing with the Lync-to-Skype transition, and asks the question of whether Skype for Business is a telephony replacement. 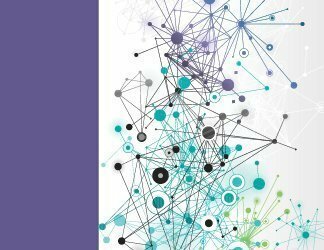 The guide wraps up with a concluding chapter focused on how cloud computing fits in with Skype for Business. It details, in particular, the current cloud options for enterprises that choose to use Skype for Business. Do Skype for Business features and benefits outweigh its drawbacks?